In addition to the usual stories and tales that make up Tell Us A Tale, we had two master musicians in for a wonderful visit filled with live music and history. Did you know the violin and banjo are the two oldest instruments in the United States? 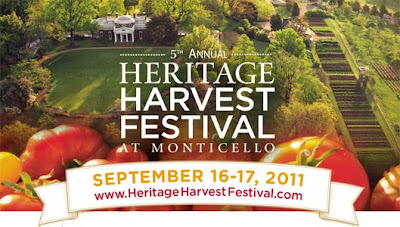 In advance of their performance at this year’s Heritage Harvest Festival at Monticello, master musicians Joe Ayers and Mark Campbell will pay a visit to Tell Us A Tale this Sunday. They will not only perform, but also discuss the history of the violin and banjo in the United States. Joe Ayers is a musician, historian, lecturer, musicologist, classical guitarist, blues expert, performing artist, and author. His recordings of early American music include several volumes of 19th century banjo classics. He has worked as a music history consultant and appeared in motion picture feature films (Warner Bros. productions) and in NBC, PBS, Discovery Channel and National Geographic television specials. He has played a seminal role in presenting authentic music for museums, Civil War reenactments, festivals, and education venues. The grandson of a Virginia dance fiddler, Joe led the Tuckahoe Social Orchestra for 14 years, incorporating his children within the ranks of the performing group. The orchestra performed 19th century parlor, dance and minstrel music. Joe also gives lectures, offers historical consultation for films, sound tracks and other artists’ recordings, conducts workshops and seminars, and participates in residencies. He was recently a Master Artist for Virginia’s Folklife Apprenticeship Program and featured in In Good Keeping–Virginia’s Folklife Apprenticeships by Jon Lohman, Director of the Virginia Folklife Program at the Virginia Foundation for the Humanities. Joe is currently working on Volume V of “Early Banjo Classics,” which is Elias Howe’s Complete Preceptor for Banjo, 1851, the earliest existing banjo music. Mark Campbell is a traditional musician who is dedicated to preserving and passing down old Appalachian region fiddle and banjo styles. Since his childhood in the Shenandoah Valley of Virginia, Mark traveled around the region, collecting and playing the old style of music. He learned bowing and picking styles from some of the giants of last generation of great musicians of North Carolina, Virginia and West Virginia. In 2008 Mark was named the Virginia Foundation for the Humanities’ Master fiddler. He was also the 2001 Champion Fiddler at the Appalachian String Band Festival at Clifftop, West Virginia, has twice won the State Fair of Virginia fiddle contest, and has won the West Virginia State Folkfestival banjo and fiddle competitions. Mark travels throughout the region, performs concerts/lectures, teaches classes, plays for dances and produces solo and band recordings. Mark learned fiddle styles by playing with and studying musicians including, Melvin Wine, Tommy Jarrell, Ernie Carpenter, Pug Allen, Burl Hammons, Wilson Douglas, Lee Triplett, Franklin George, Harvey Sampson, Joe Birchfield, Wilson Douglas, and Harold Hausenfluck. From blind fiddler Harold Hausenfluck Mark learned to listen for the bow changes in old recordings. He then studied recordings from many of the departed masters of the old style of music, including French Carpenter, Ed Haley, Luther Strong, N. H. Mills, Norm Edmonds, J. B. Grayson, Clayton McMitchen, Marcus Martin, and Osey Helton.